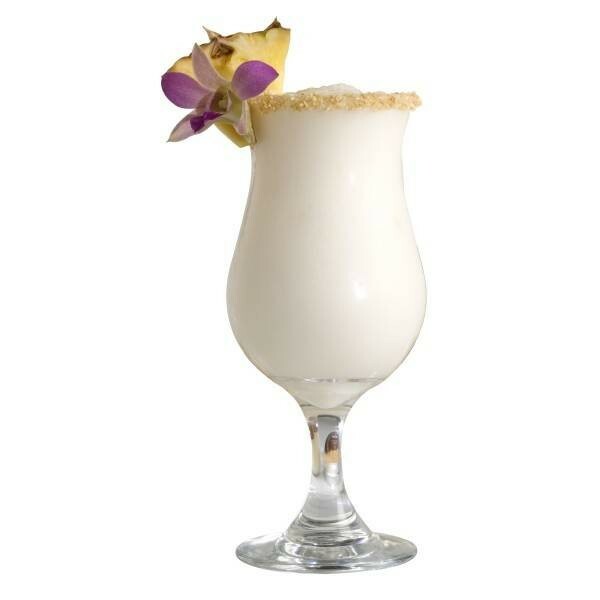 Today I am thankful for piña coladas. I am sure that it is no surprise by now that I like frozen fruity beverages. What can I say? I enjoy the refreshing and cooling nature that they possess. I also appreciate the fact that they can be easily transformed into non-alcoholic versions, which, in my opinion, tend to be tastier than their alcoholic counterparts. Another feature of frozen fruity beverages that I like is the fact that they somehow instantly bring a smile to my face the moment that I take that initial sip. Now, I do not know if it is a sense of nostalgia or something else that causes me to be overcome with such wonderful sensations when I partake of frozen fruity beverages, but whatever it is, I like it. And of all of the frozen fruity beverages that are out there, strawberry daiquiris (which you can read more about here) and piña coladas are my favorites.